I don’t really have anything super exciting to talk about. My dog got a bath and hair cut over the weekend, and he looks oh-so cute. Even my roommate says he looks cuter when he’s clean and fluffy. No one can believe he’s over 12. He is still so agile, running and jumping around, and in fairly good health. He goes to bed a little earlier, slows down a little earlier, but other than that – he definitely still has a spring in his step. 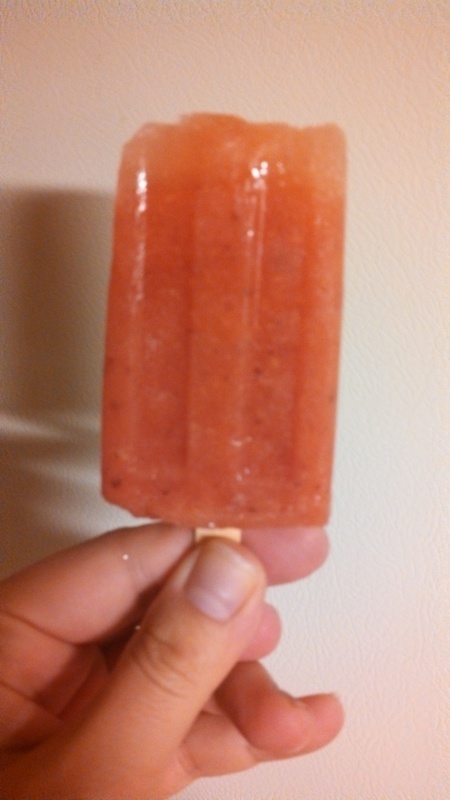 That being said, I am going to share this yummy watermelon popsicle recipe with you. I didn’t really follow the recipe that closely. I kind of used it as a base and did my own thing. If you recall, I recently went on a day trip to Manhattan to visit a friend, and we perused the Chelsea Market, where I picked up these nifty popsicle molds. 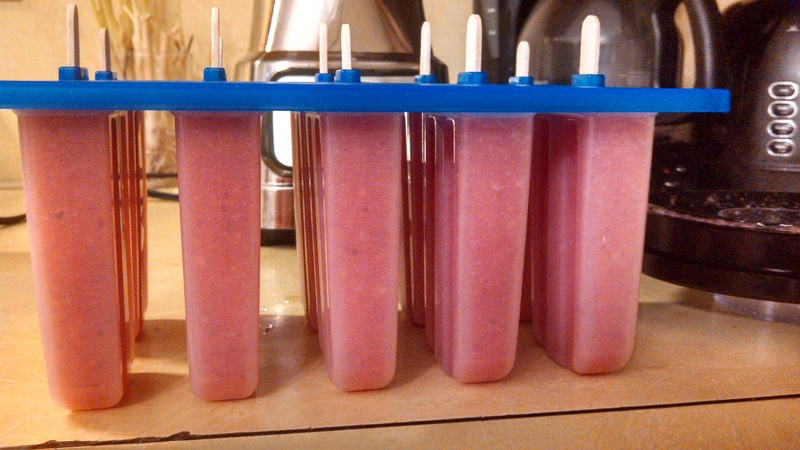 We made popsicles as a kid sometimes, in a plastic little mold-set, and it was always so fun. Well, let me tell you: it is equally as fun as an adult! 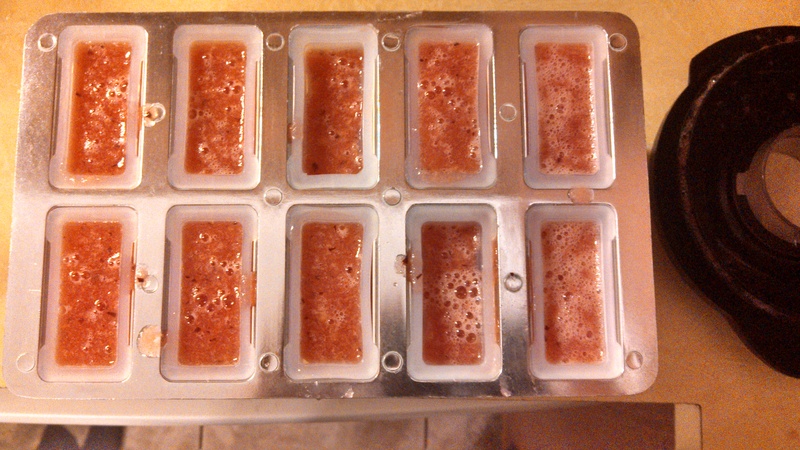 The great thing about having popsicle molds is that they’re so versatile (I love that word). 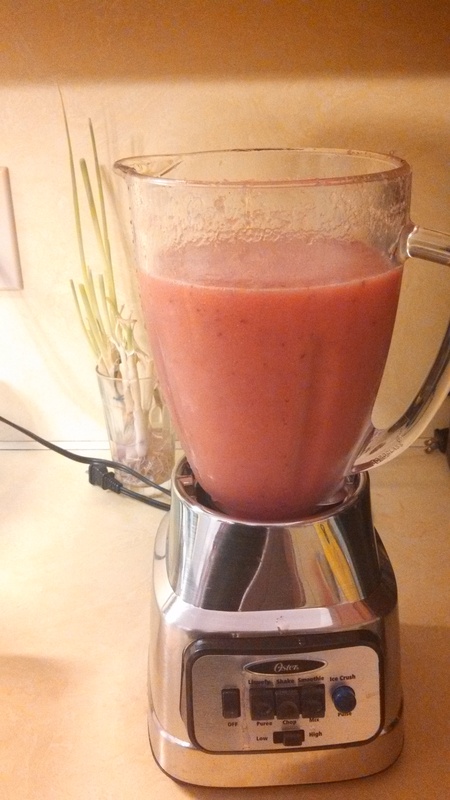 You can blend up any type of fruit and pour it in, or you can use yogurt (I haven’t gotten *that* fancy yet), or even pop! The recipe I used called for SIX TABLESPOONS of sugar. Um…yeah…pretty sure I didn’t do that. It also called for some kind of liqueur, however we have a dry household, so I omitted that as well. These popsicles have so far been enjoyed by everyone: myself, my husband, my roommate, my old roommate, and his boyfriend. One thing to note, at least with our molds, they stuck. The blue top part, that covers the mold to hold the sticks in place literally froze itself to the mold (reminds me of the little boy from A Christmas Story, who stuck his tongue to the pole, hehe). I had to pry and pry and pry some more in order to get it off. 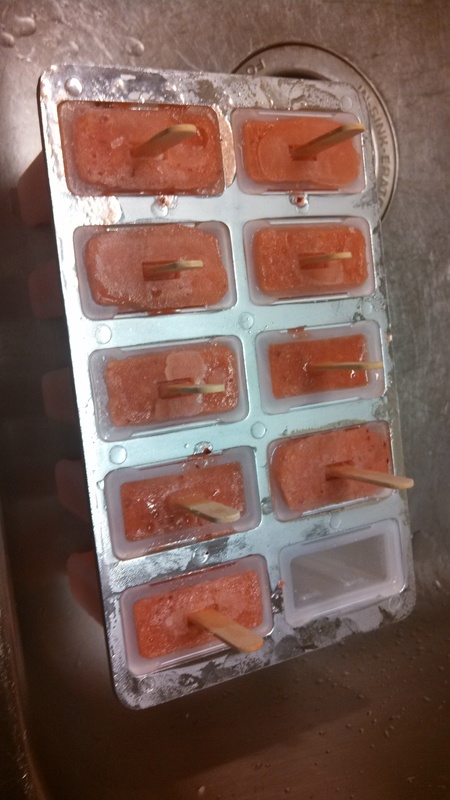 When I finally did, the popsicles themselves were stuck inside the mold! My husband suggested I run the mold under hot water to loosen them. That worked really well. Once all of that was complete, they were devoured. Best part: ZERO WEIGHT WATCHERS POINTS! In any case, the recipe below is my re-write. For the original version, feel free to click the link above. WW point value per popsicle: 0! 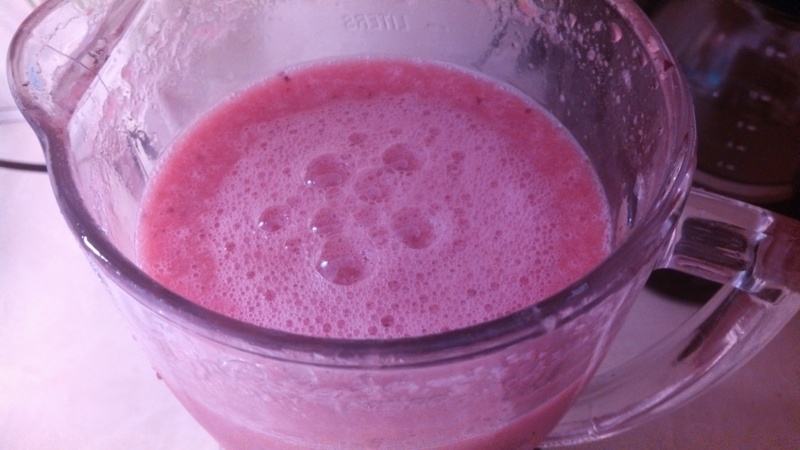 -Combine all ingredients in a blender and pulse on high into mostly liquid-y. -Pour watermelon mixture into the molds. -Freeze for 8+ hours then ENJOY!